Loss of dog is something noone likes to think about. 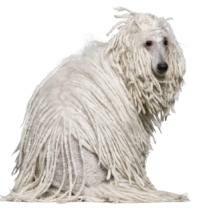 Golden poodle years bring with them declining health as your dog ages into his mid to late teens. 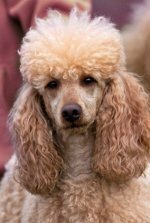 Unfortunately, there may come a time when your poodle is so ill that the thought of him living in so much pain becomes heartbreaking. It will also break your heart at the thought of having to put him to sleep. Noone wants to do that to their beloved and devoted companion. The best thing would be to have your pet live to a ripe old age and pass on peacefully in his sleep, but this usually doesn't happen. If your pet is in extreme or constant pain, is suffering, can't eat or drink the way he should, or can no longer enjoy playtime or exercise time, you need to make a choice for him since he can't make it for himself. 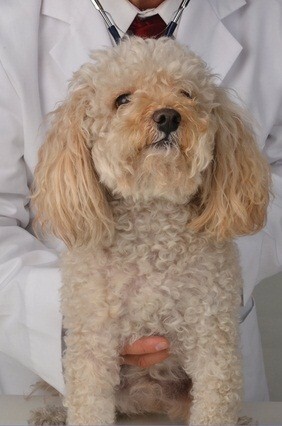 It is very painful, very hard and a very personal choice that each poodle owner will make himself. Your vet can give you guidance on what to do. But you will know in your heart what is right to do and when it is time to set your pet free. Your vet can give your pet's body back to you once she has been put to sleep. We buried Holly in a pet cemetary in the afghan I crocheted that she loved. There was no way we could put a dedicated, loving member of our family in the ground ourselves or leave her at the vet's for disposal. We got a tombstone for her and a doggie casket. She was a big part of our family, we grieved for her, and we wanted her in a place she deserved to be after she passed on. Other options are burial in your yard or cremation with the ashes given to you in a box or urn. Loss of dog is very hard, but burying her with a memorial can help preserve memories of her. You can go through a pet grief loss recovery system which includes exercises to get you through all stages of the grief process. Call your local animal shelter to see if there are pet grief loss classes in your area. Try journaling to get your feelings in writing and help release pent up emotions and get through the grief process. You can also write a letter to your beloved poodle saying anything you want to her. Grieving loss of pet is hard, sad and devastating but you will get through it.